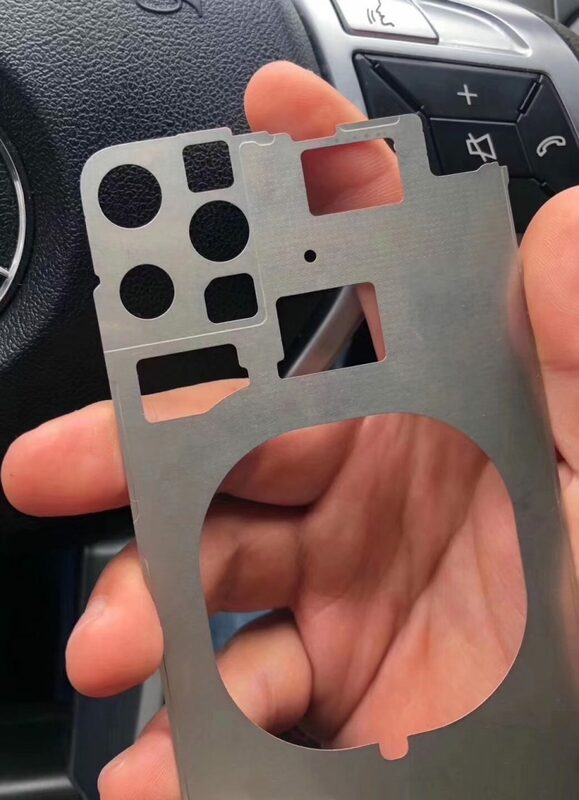 An alleged chassis piece belonging to the 2019 iPhone appeared on Chinese social media this morning with markings on the rear of the device that resemble a housing for three camera lenses. I don’t normally care what the back looks like. Especially if they continue with the design mistake of the camera sticking out like many phones now have. Just wish they made the phone a bit thicker to hide the camera more inside. This is incredibly ugly, I wonder how they run something like this past Jony Ive. If this ends up like the above renders, then Apple will have absolutely lost their design-edge. Seriously, give it a bigger battery by making it a tad thicker to make the camera flush with the rest of it, because this is poor design otherwise. I don't know. I mean, a better camera is nice, but the extra bulk is starting to add up. Plus at least the mockups looks quite bad, especially the white version. The images, shared via Weibo ('https://m.weibo.cn/detail/4357383658031300') and later tweeted by Ben Geskin ('https://twitter.com/VenyaGeskin1/status/1113727228385296384'), tally with rumors that the next-generation iPhone will feature a rear triple-lens camera system in a triangular configuration. Last week, an image of a similar chassis piece appeared on Slashleaks ('http://www.slashleaks.com/l/iphone-xi-schematics-leaked'), although rumors about triple lenses in an iPhone began way back in May 2018. Well-known Apple analyst Ming-Chi Kuo ('https://www.macrumors.com/2018/10/15/kuo-2019-iphone-lineup/') said in October that he expected the next iPhones to feature triple-lens cameras. 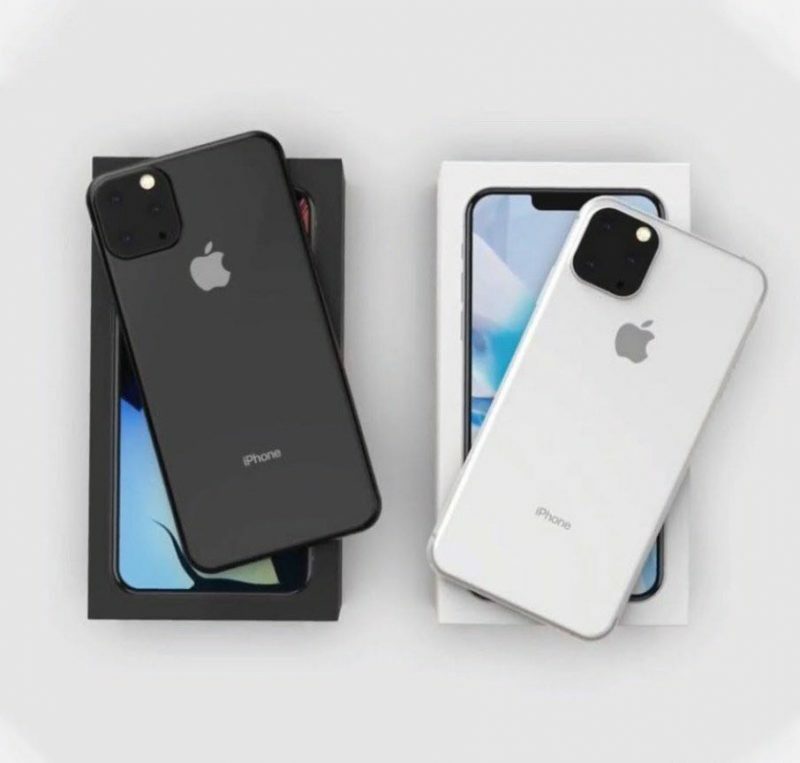 In January, serial mobile leaker Steve Hemmerstoffer (@OnLeaks ('https://www.macrumors.com/2019/01/06/2019-iphone-triple-lens-rear-camera-renderings/')) released renderings of the supposed iPhone 2019 model, with a similar unusual-looking patch on the rear for three lenses, a flash, and a mic in the triangular arrangement. The Wall Street Journal ('https://www.macrumors.com/2019/01/11/wsj-on-2019-iphone-11-displays-cameras/') has since reported that Apple plans to introduce a triple-lens camera system in at least one of the iPhones coming in 2019. Shortly after that report, Bloomberg ('https://www.macrumors.com/2019/01/30/apple-3d-laser-cameras-2020-iphones/') seemingly confirmed the rumor, but neither publication mentioned how the lenses would be configured. A triple-lens rear camera on the next iPhone would allow for a larger field of view, a wider zoom range, improved low light performance, and it would capture more pixels, but the appearance of the lenses and the size of the patch on the back of the case has divided Apple watchers.